Premember is the next generation of time-tracking software ,with Premember standard you can experience all the benefits of Premember without restrictions. Create any number of projects and task categories and use your data to make customized bills, reports and other documents or use one of the standard templates. By buying a license you agree to our End User License Agreement (EULA), Please click here to read it. 1 year Priority Email Support (Get within 24 hour a answer). 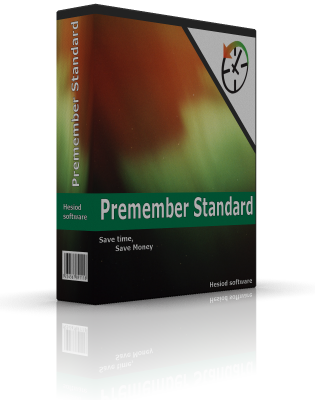 1 year free and Regular Updates (get all the new versions of premember).